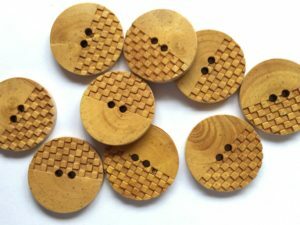 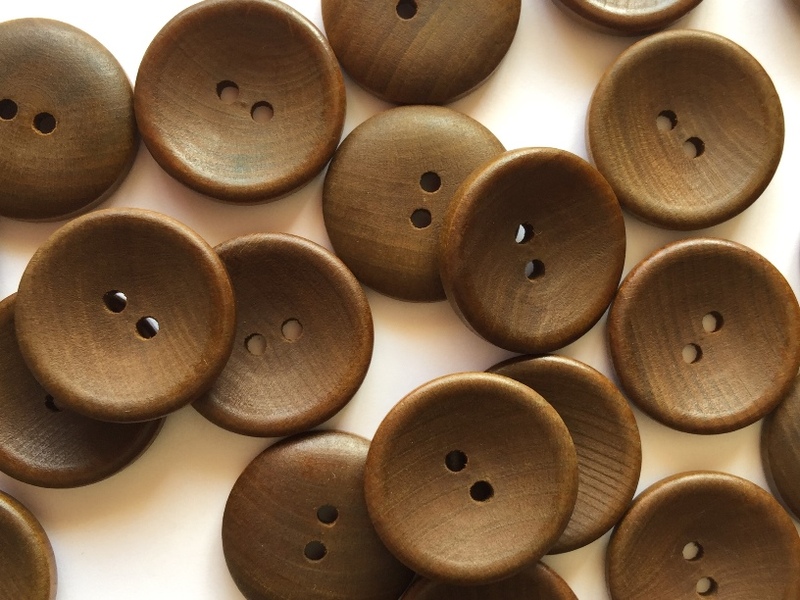 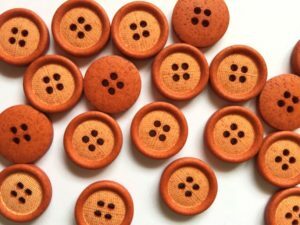 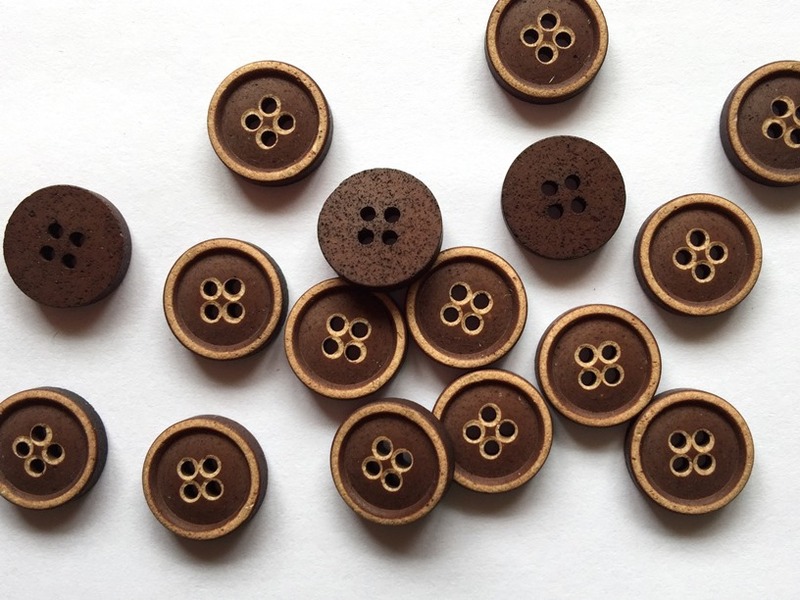 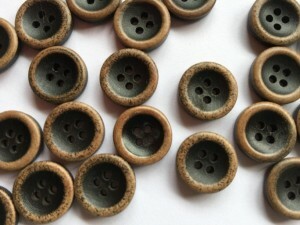 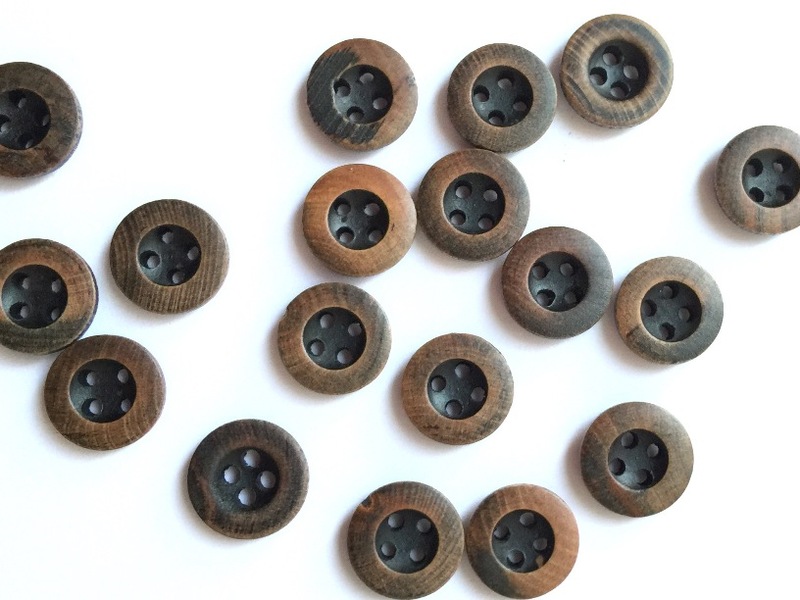 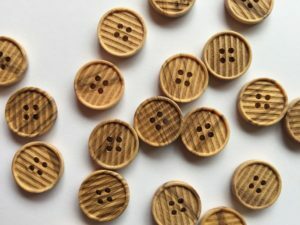 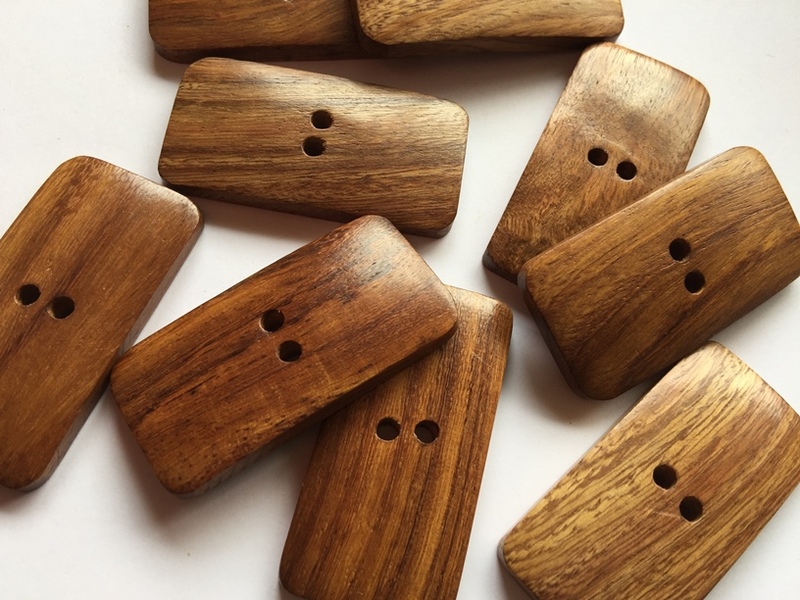 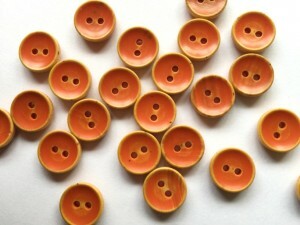 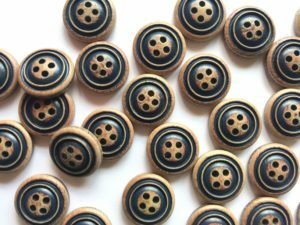 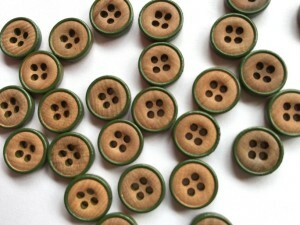 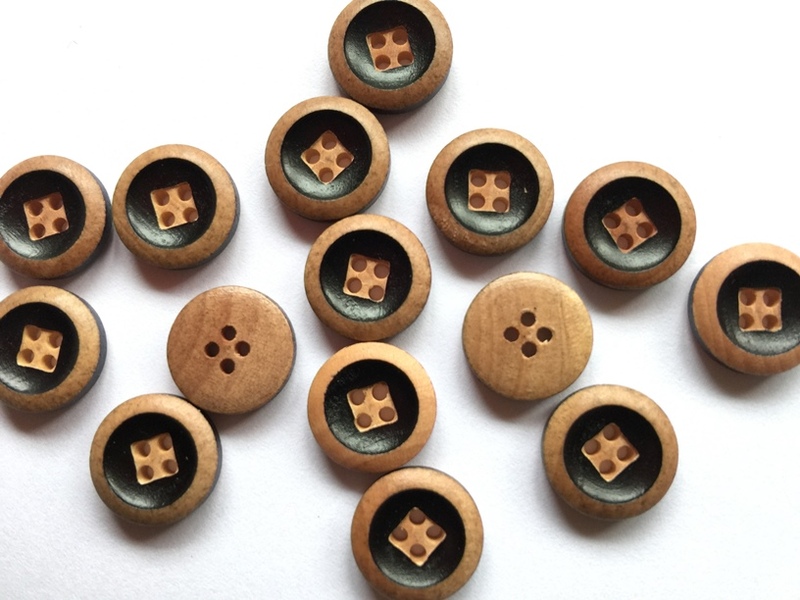 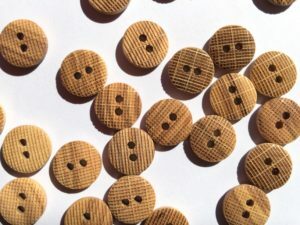 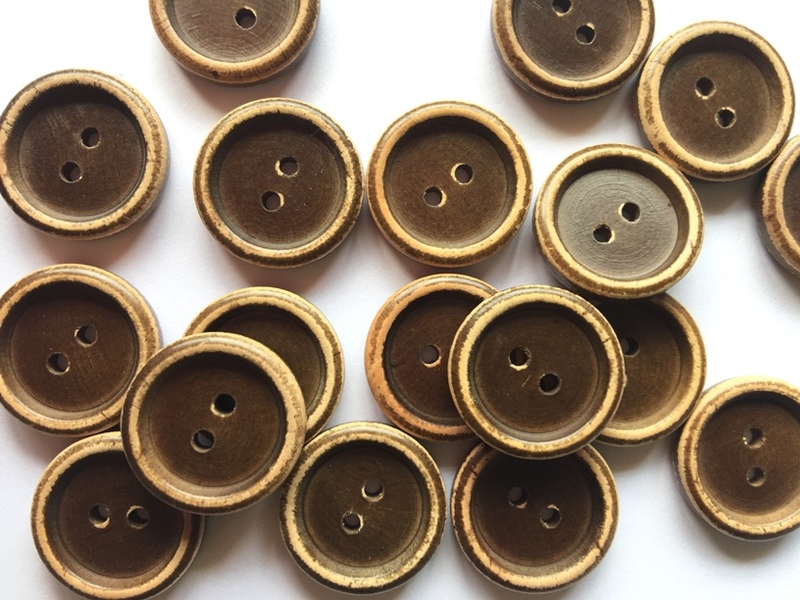 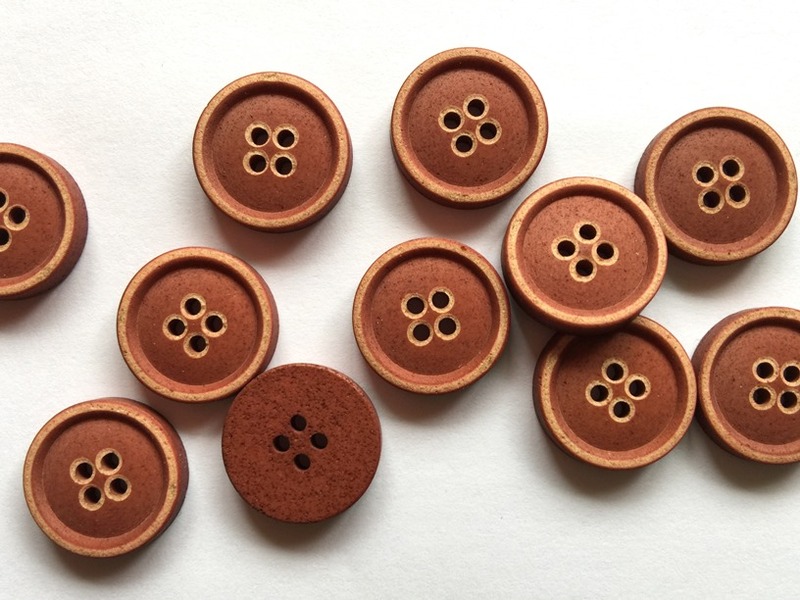 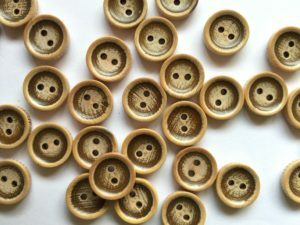 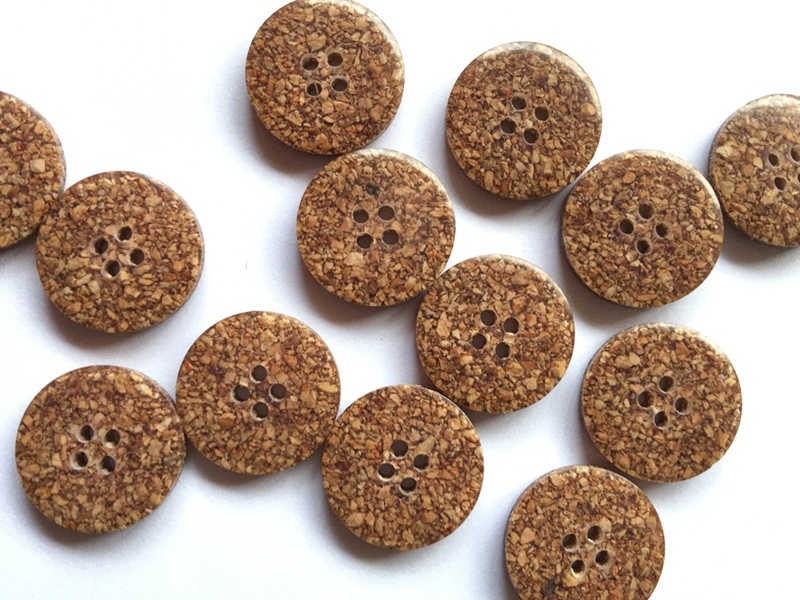 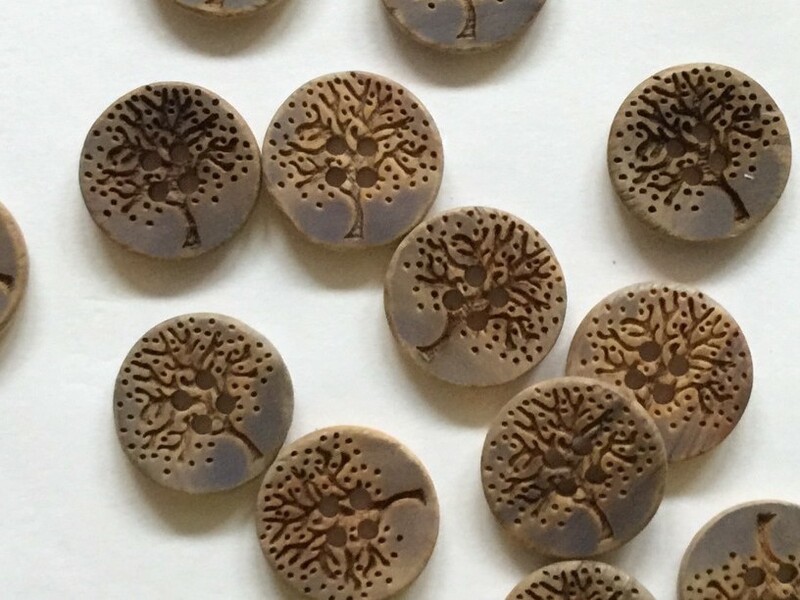 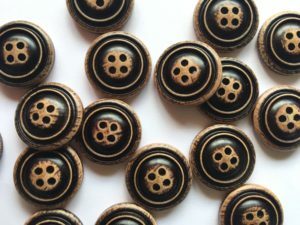 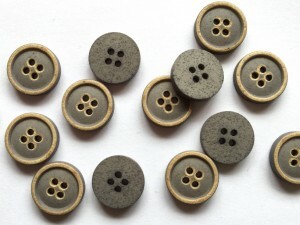 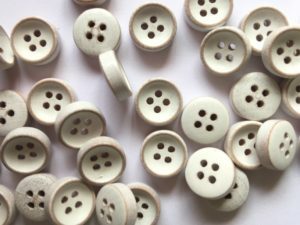 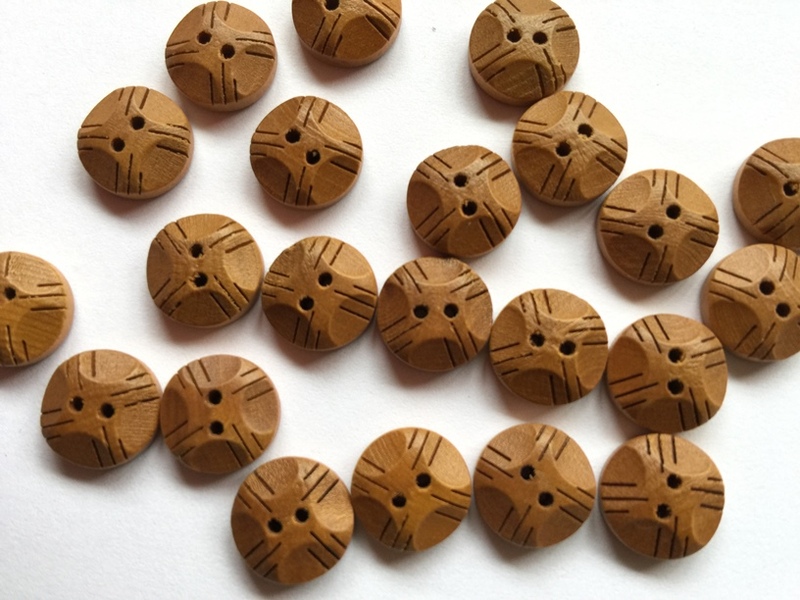 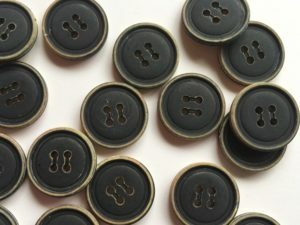 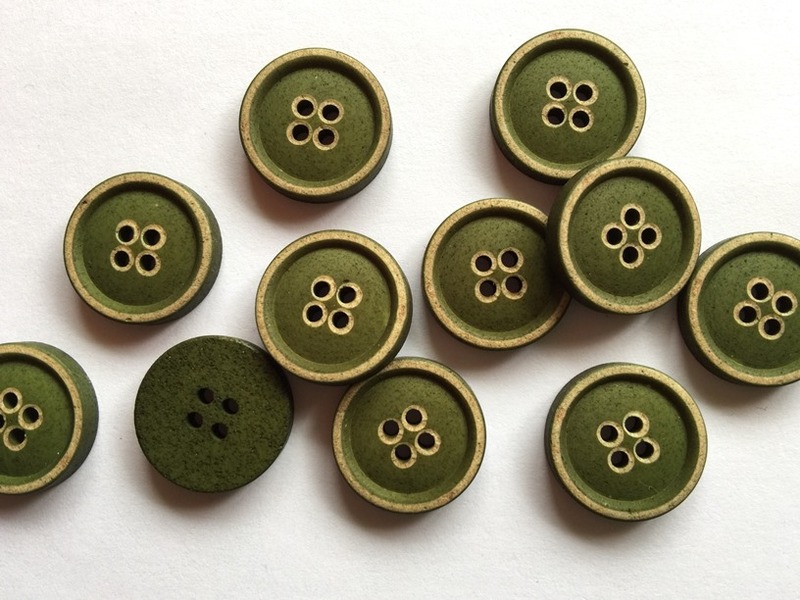 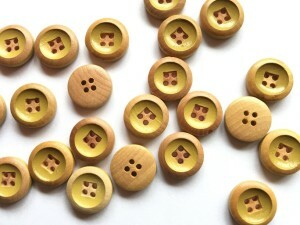 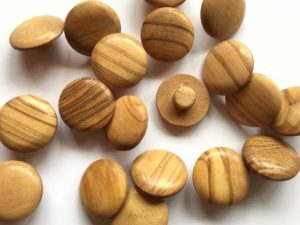 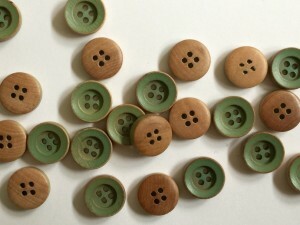 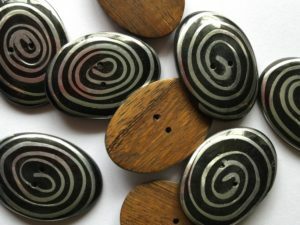 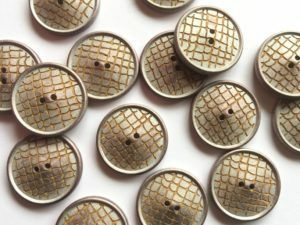 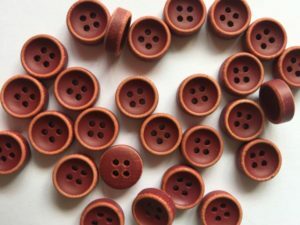 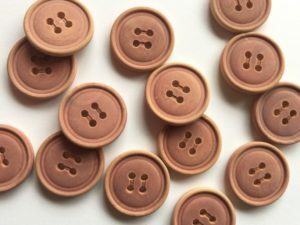 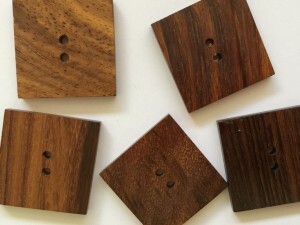 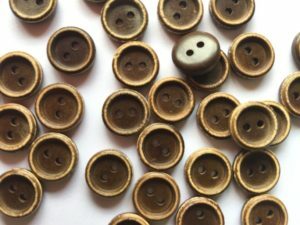 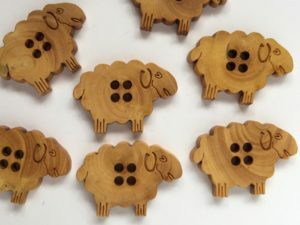 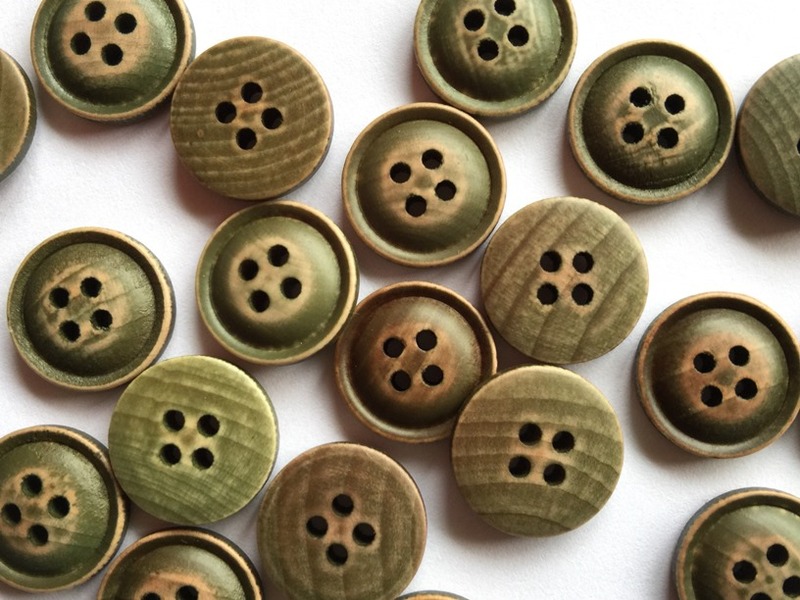 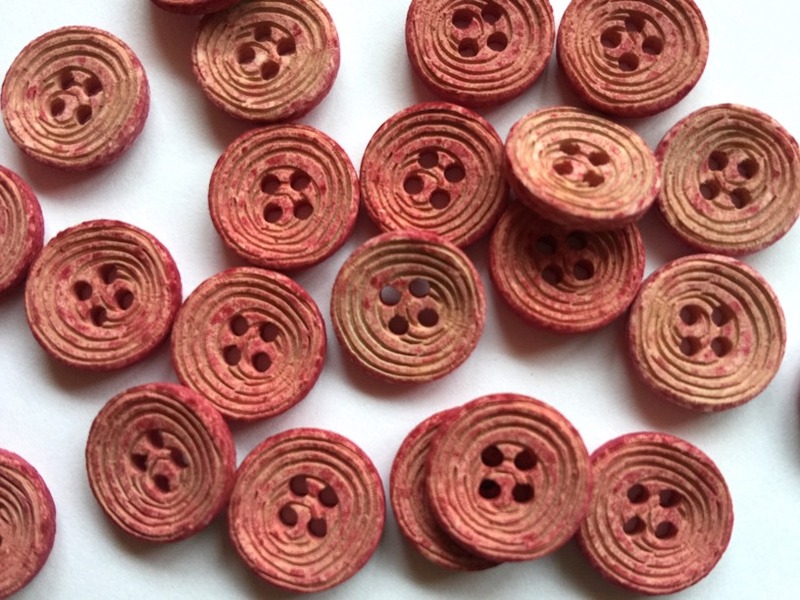 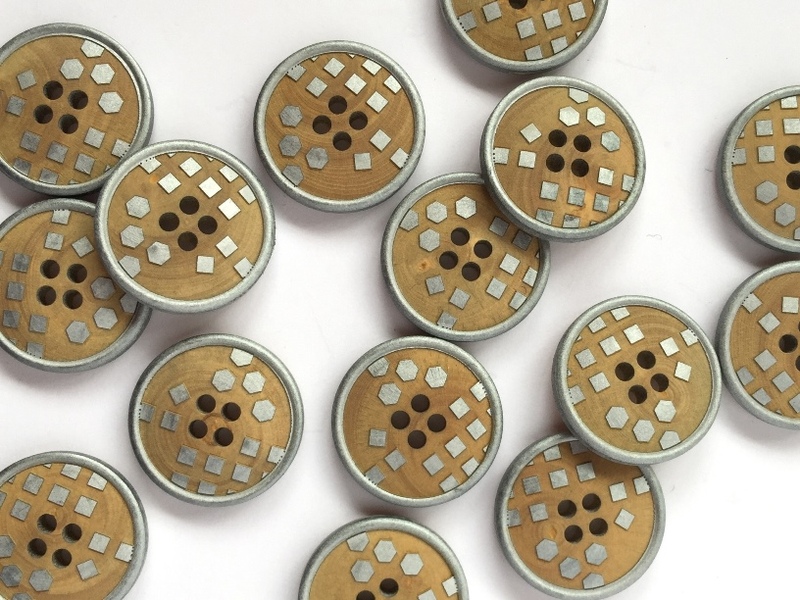 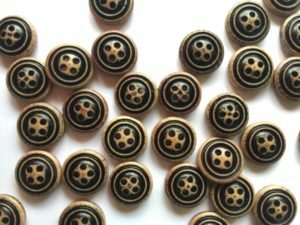 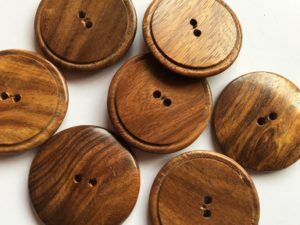 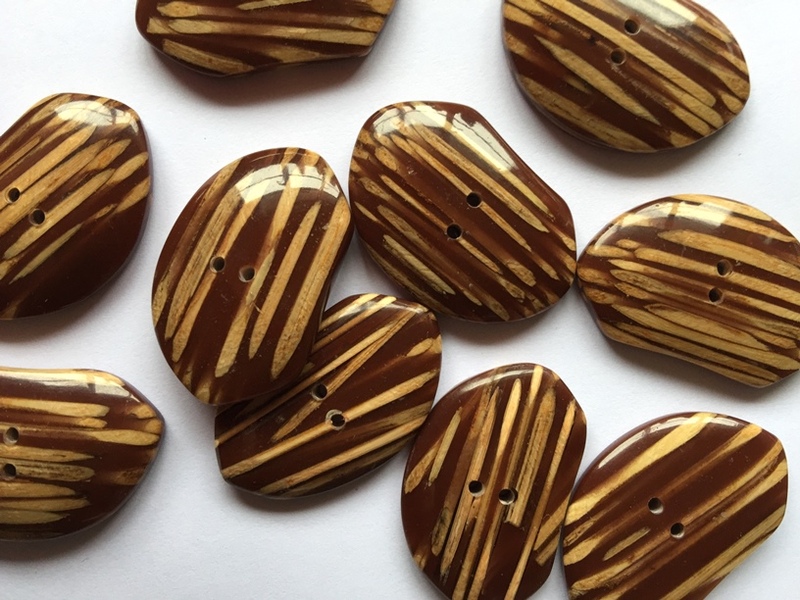 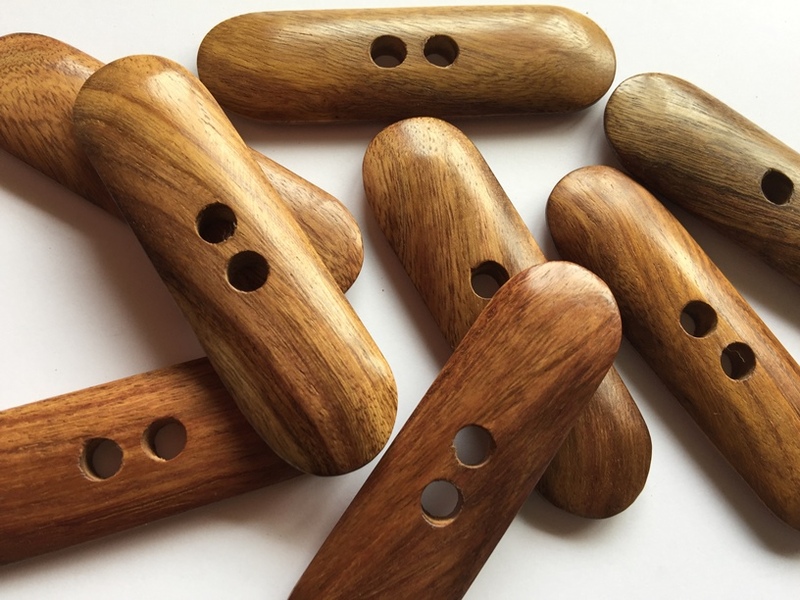 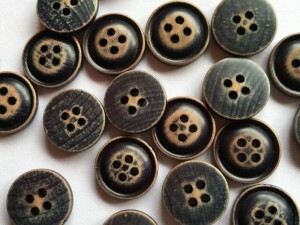 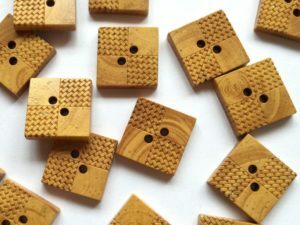 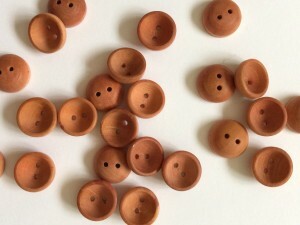 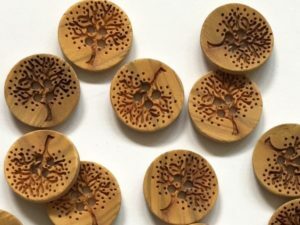 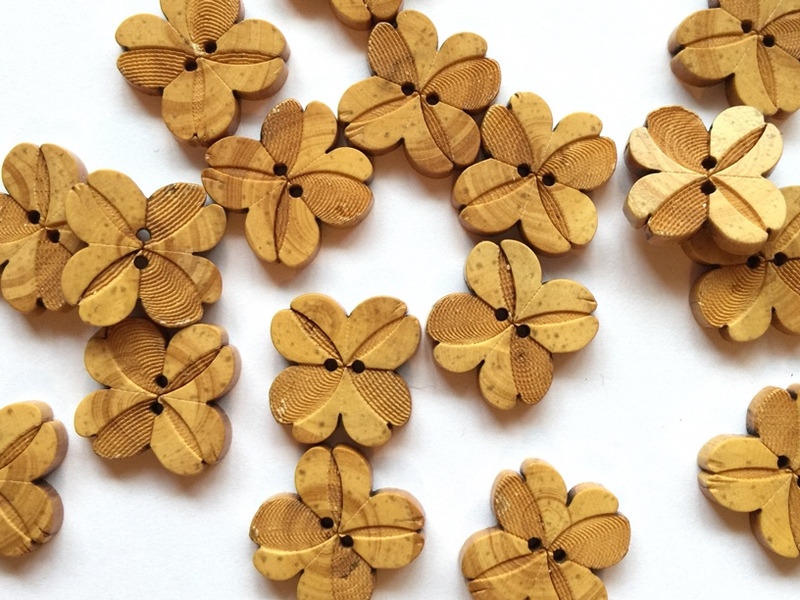 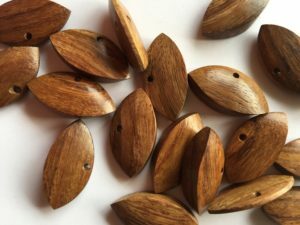 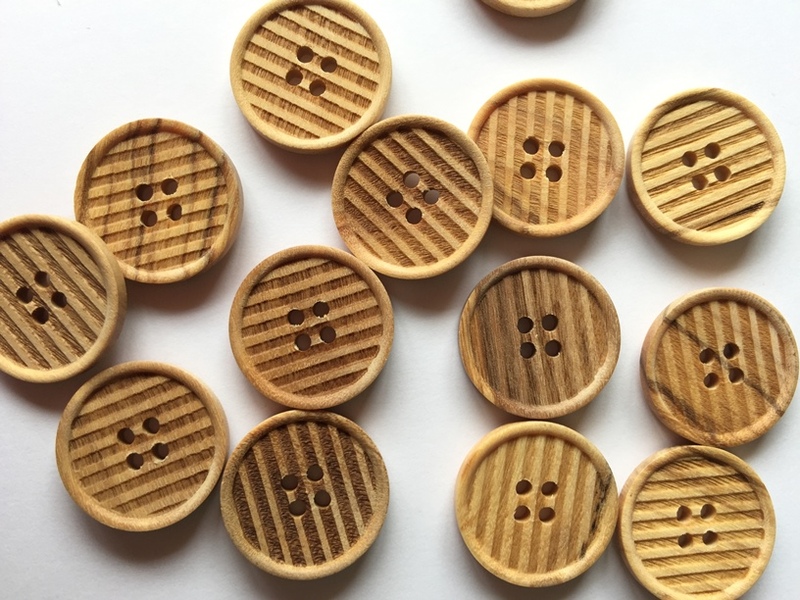 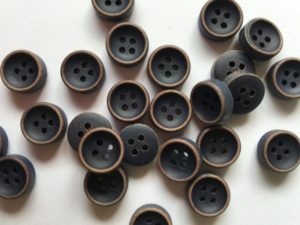 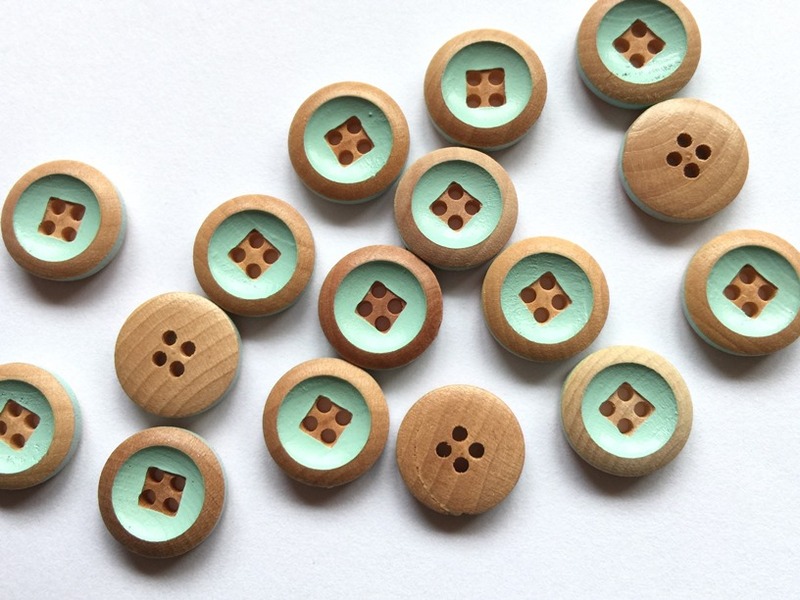 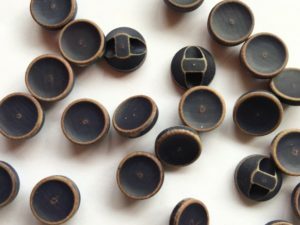 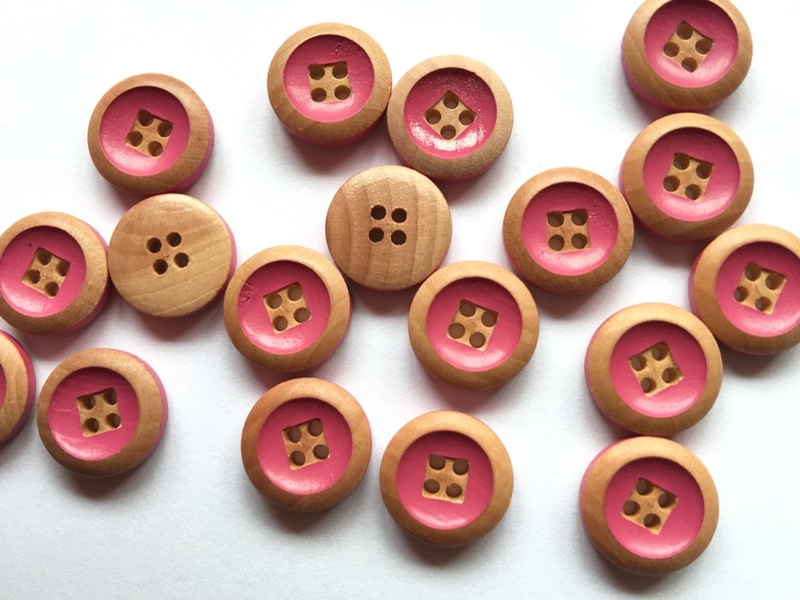 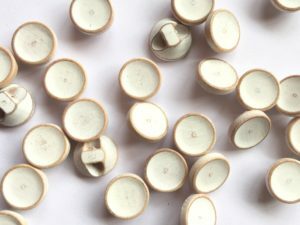 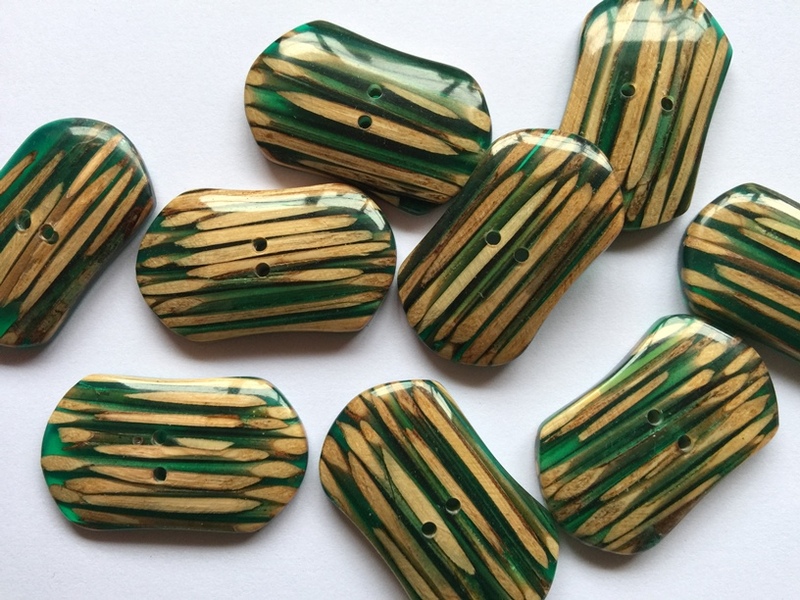 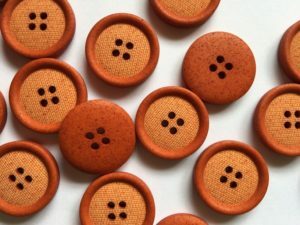 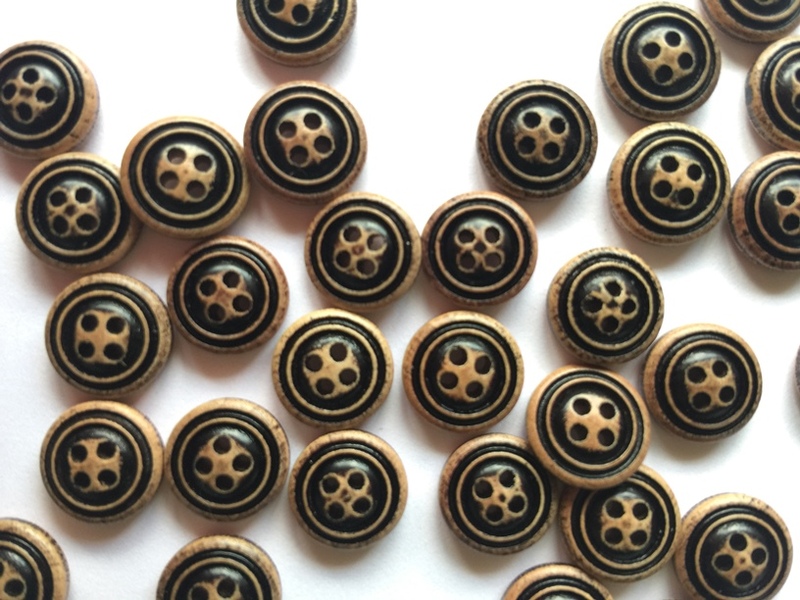 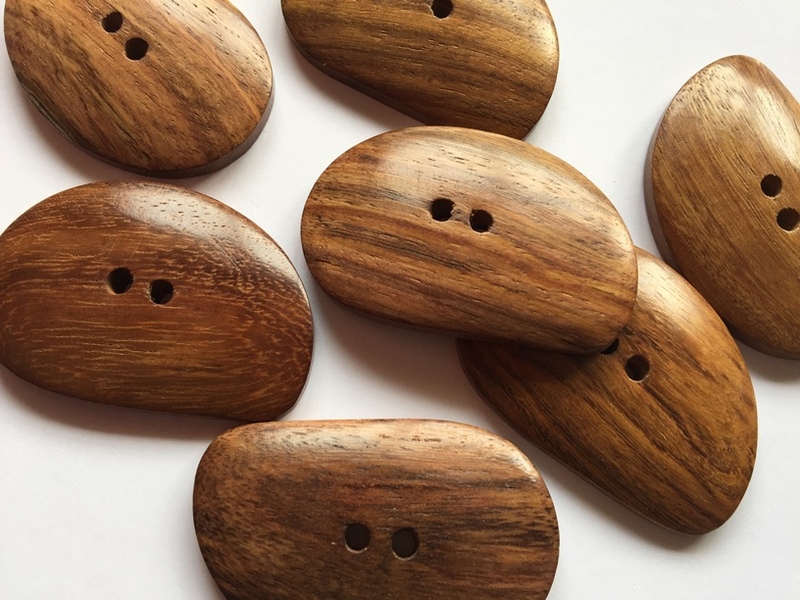 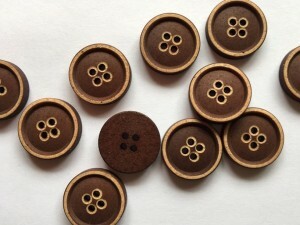 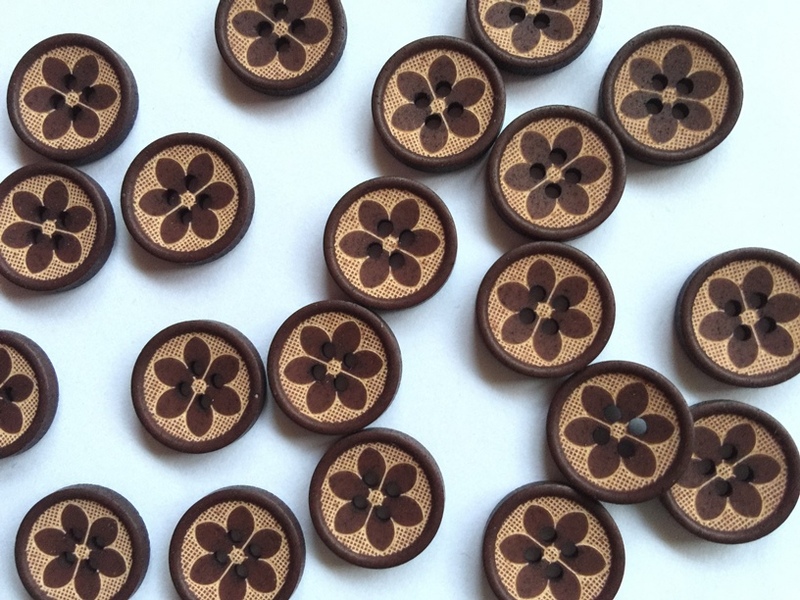 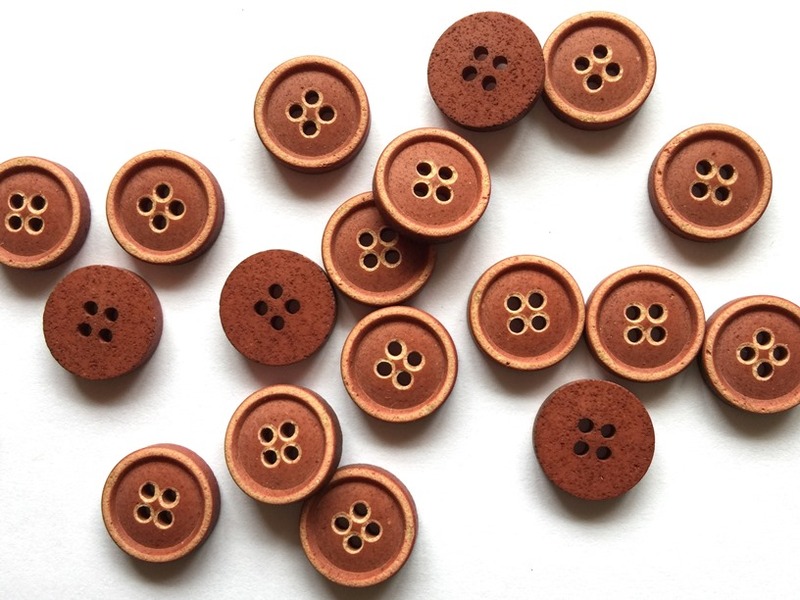 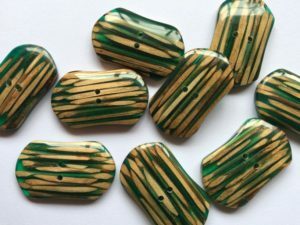 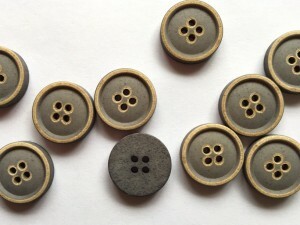 Buttons made of many types of wood. 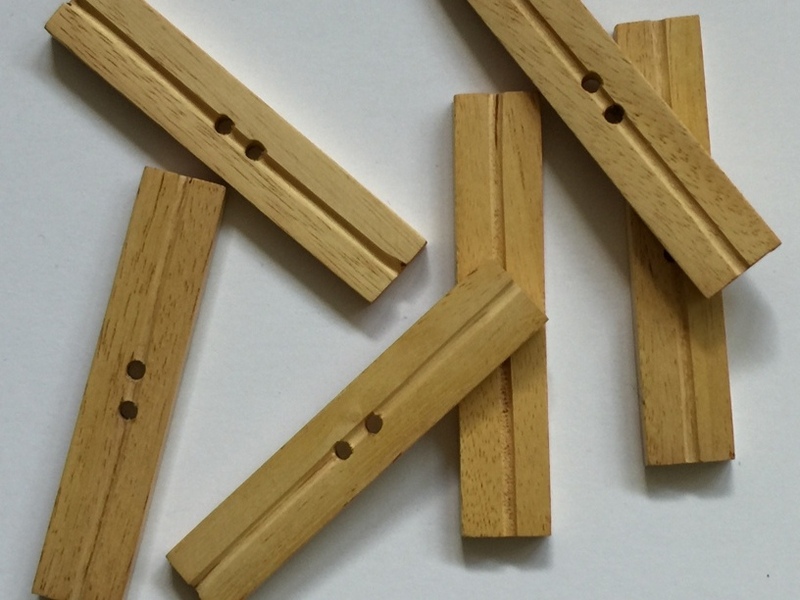 Bamboo, olive and colour stained wood among others plus a new range of imitation wood made from polyester. 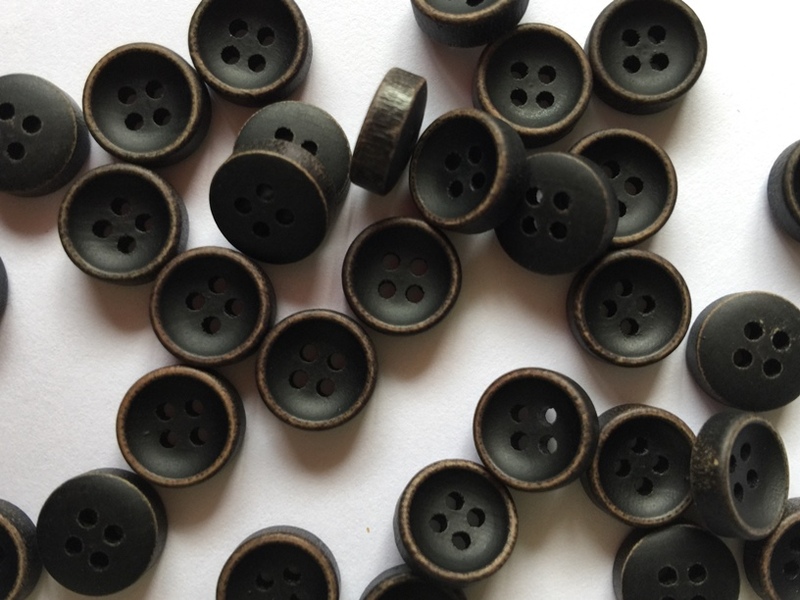 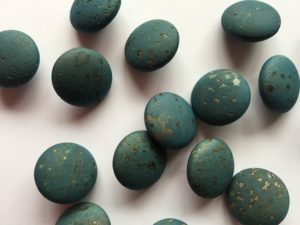 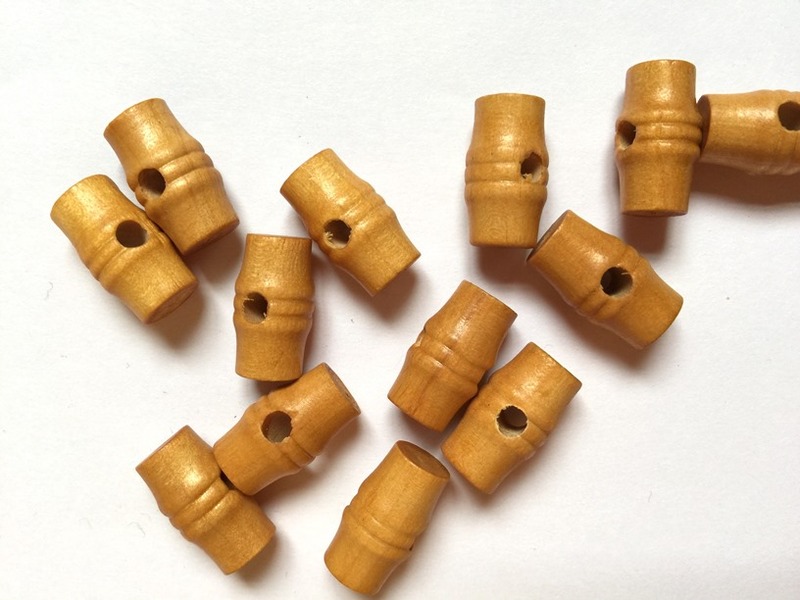 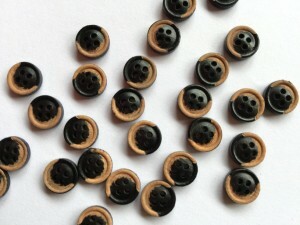 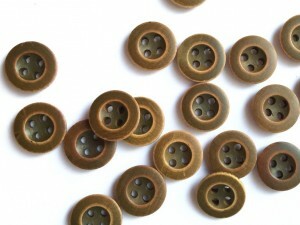 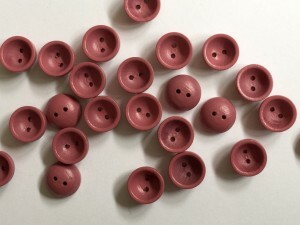 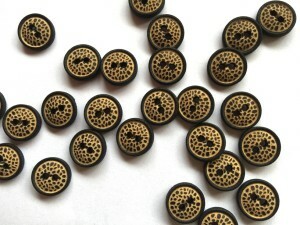 Sizes 8mm – 42mm. 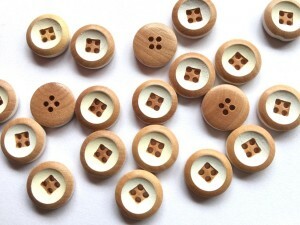 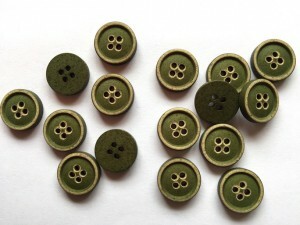 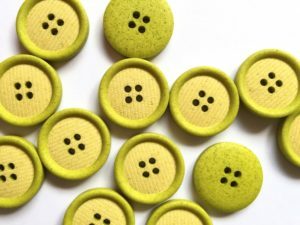 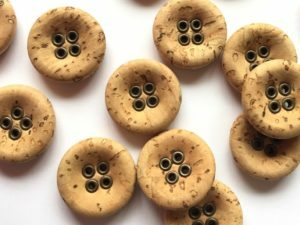 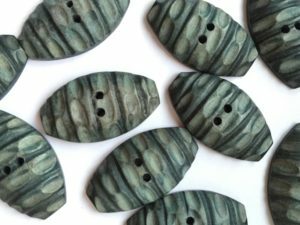 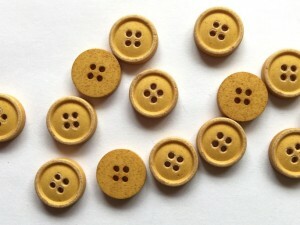 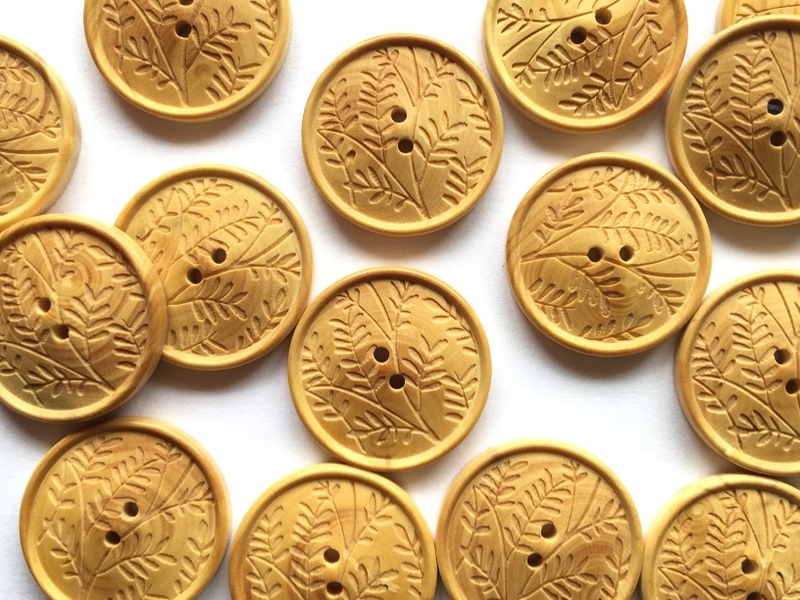 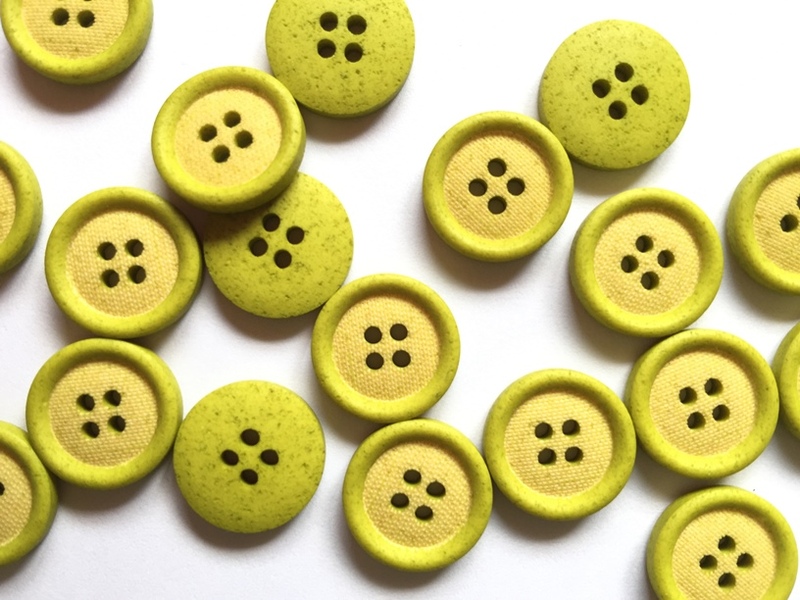 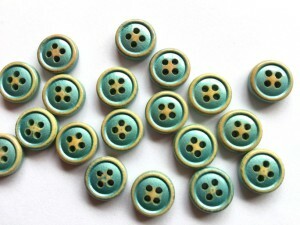 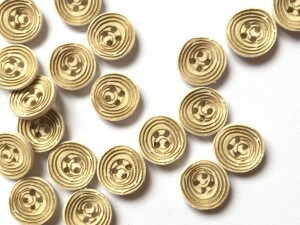 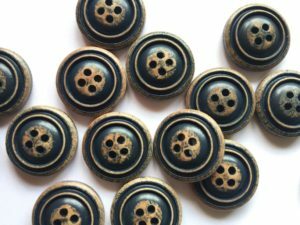 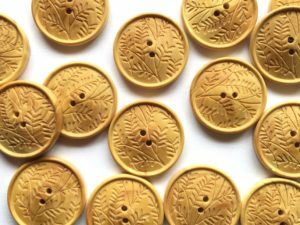 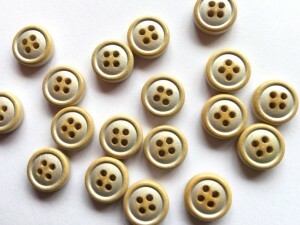 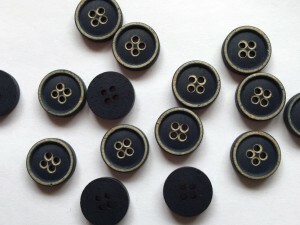 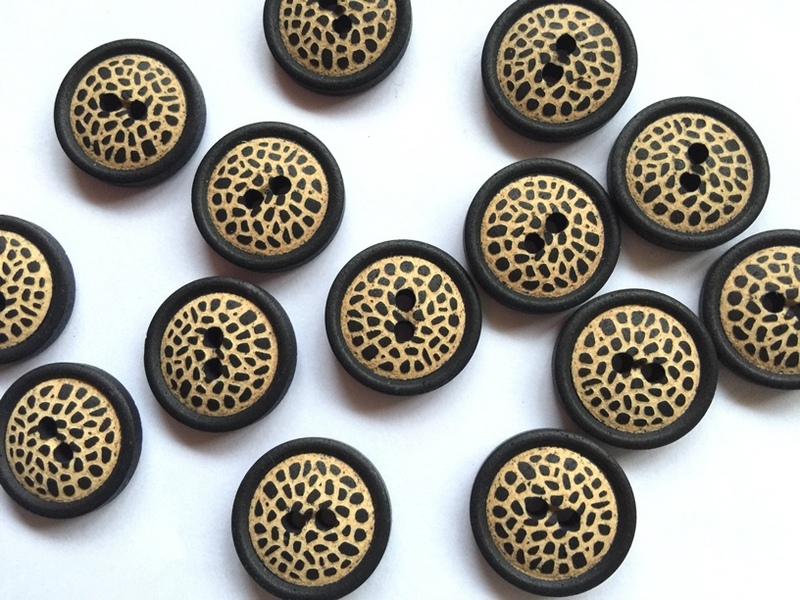 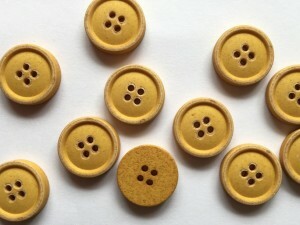 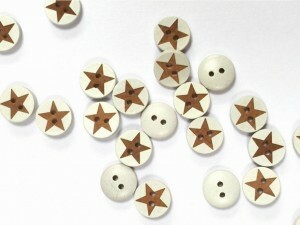 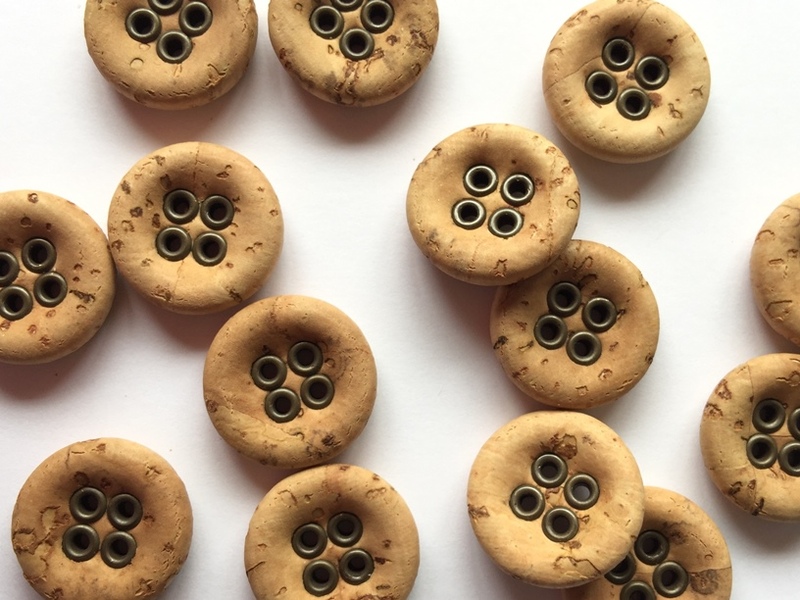 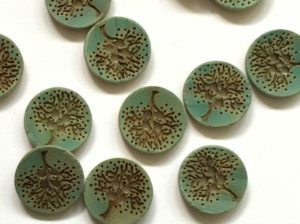 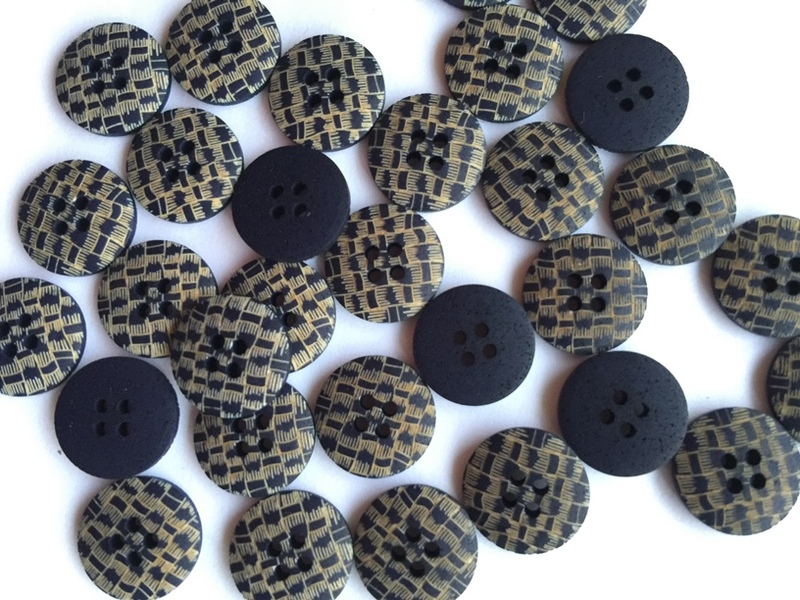 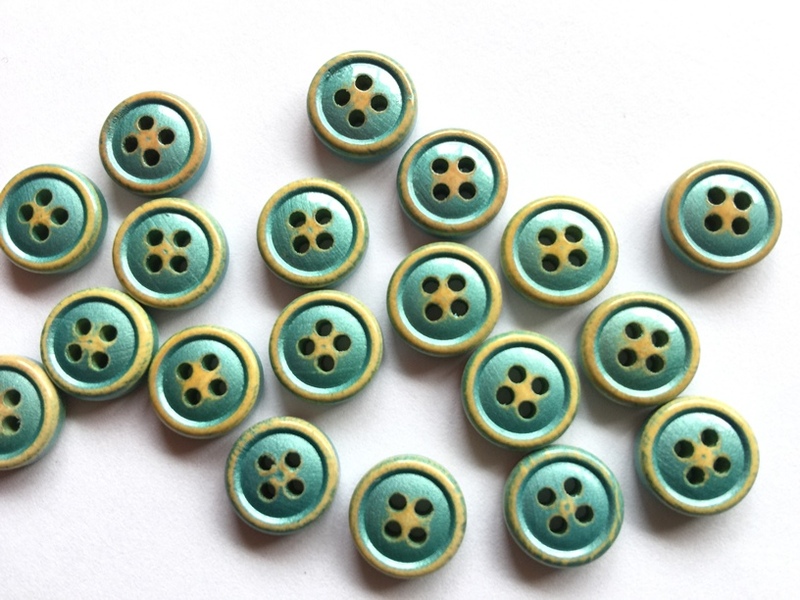 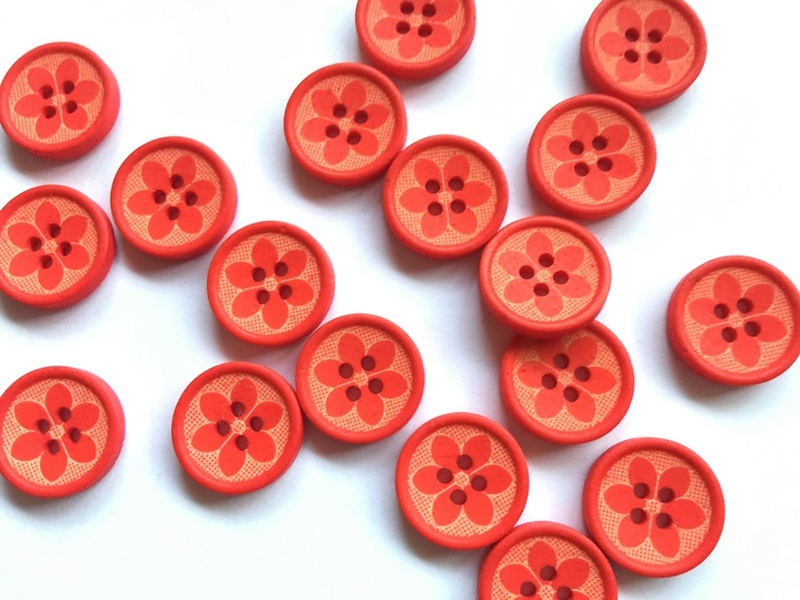 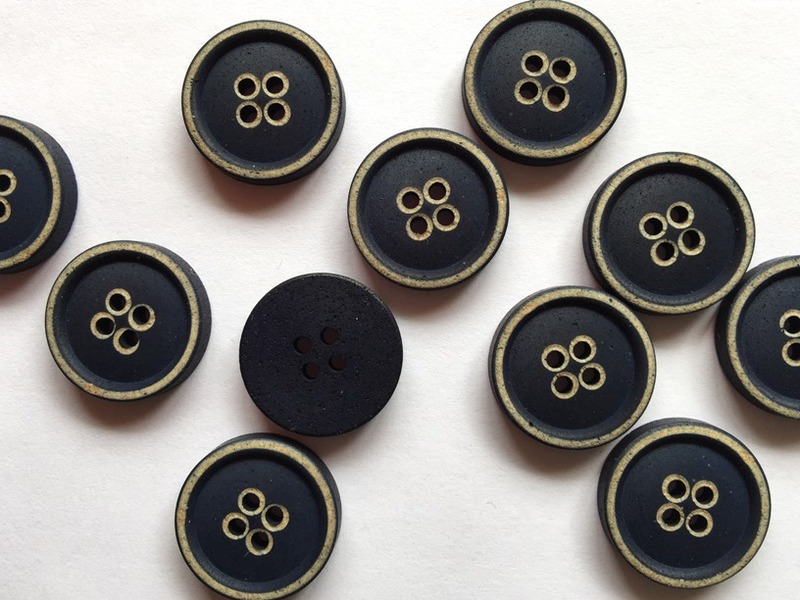 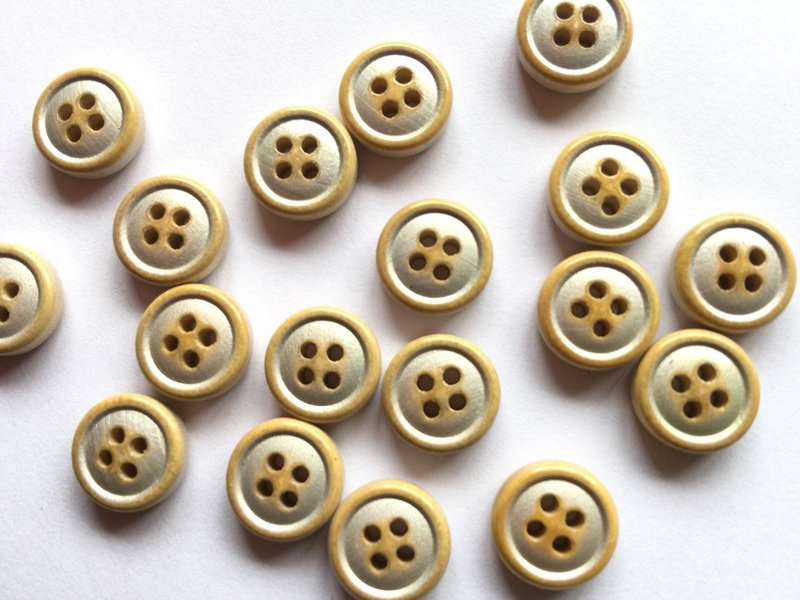 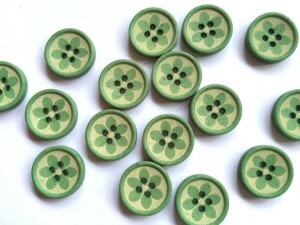 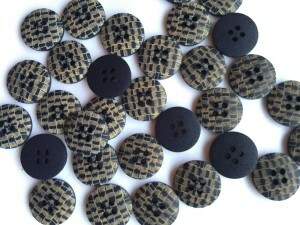 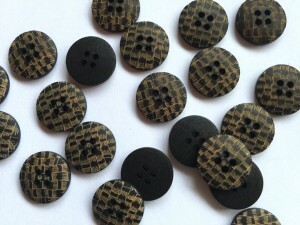 From simple buttons & toggles to laser decorated.